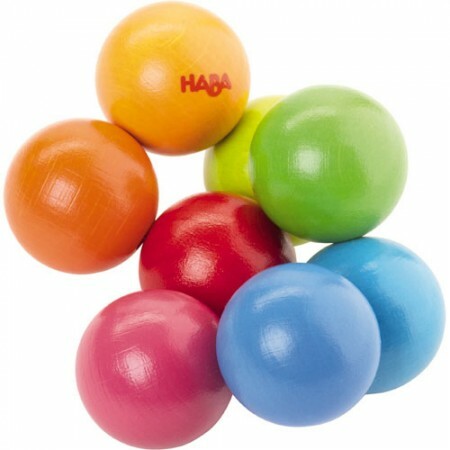 A beautiful brightly coloured toy made from wooden balls held together with strong elasticated string. Babies love to touch, feel, grab and shake it about. Great for young babies.